This room has a single bed with shared bathroom facilities. 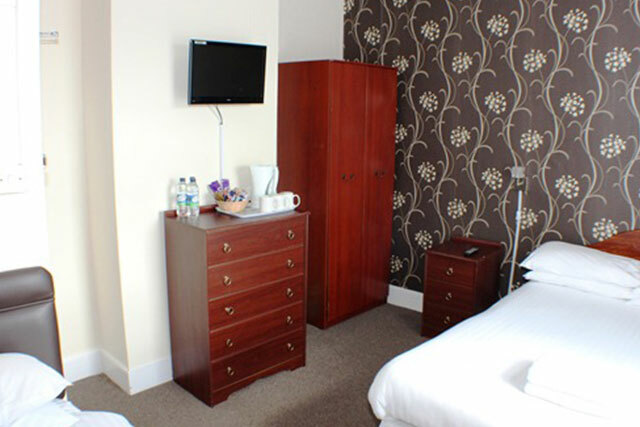 A comfortable double room with shared bathroom facilities. 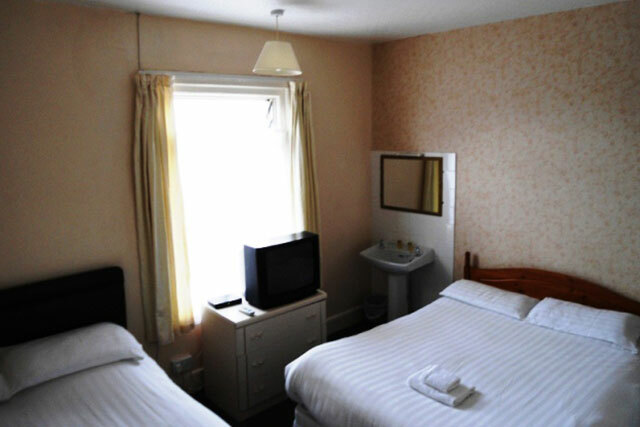 A double room with a 4'6" bed with shared bathroom facilities. This room has a king size bed with shared bathroom facilities. This room has a Double bed and a set of bunk beds with shared bathroom facilities. This room has a double and a single bed with shared bathroom facilities. This room has a room with a double bed and a rear room with 1 single bed and a set of bunk beds. 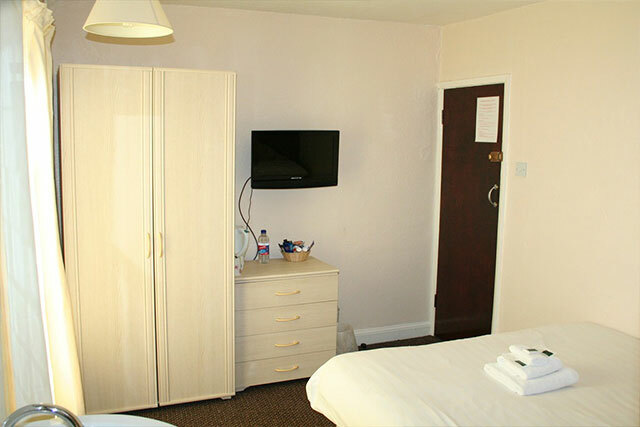 A comfortable double room with shared bathroom facilities.